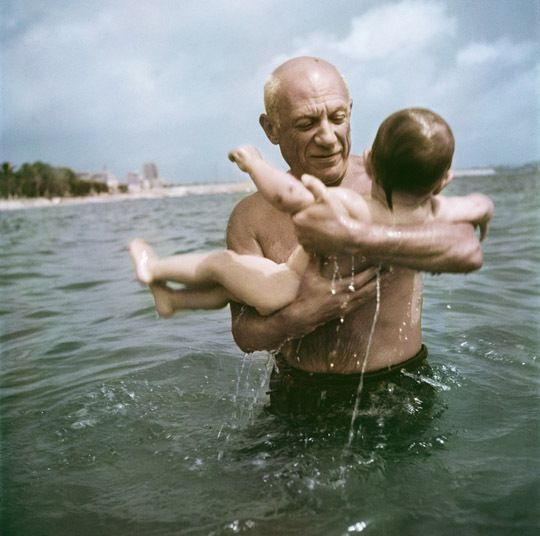 Pablo Picasso playing in the water with his son Claude, Vallauris, France, 1948. 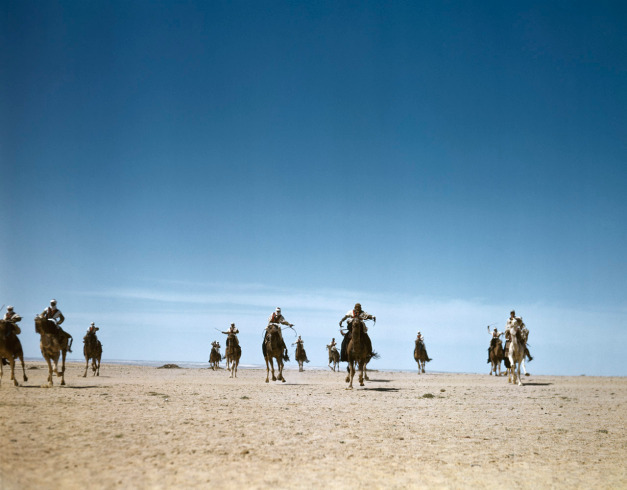 An amazing set of more than 125 previously unpublished color photographs by war photojournalist and co-founder of Magnum, Robert Capa is being presented at the International Center of Photography in New York. 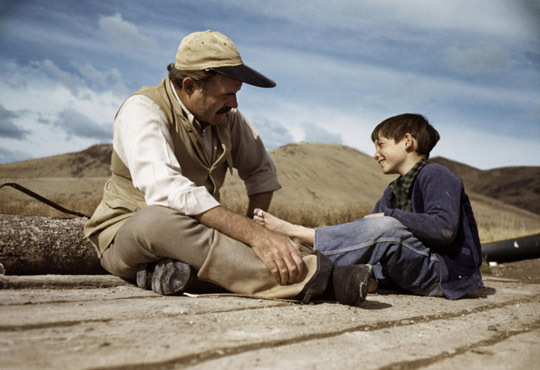 Ernest Hemingway and his son Gregory, Sun Valley, Idaho, Oct. 1941. A crewman signals another ship of an Allied convoy across the Atlantic from the U.S. to England, 1942. A mechanic signals for takeoff to an Allied pilot before a raid over Occupied France, England, 1941. 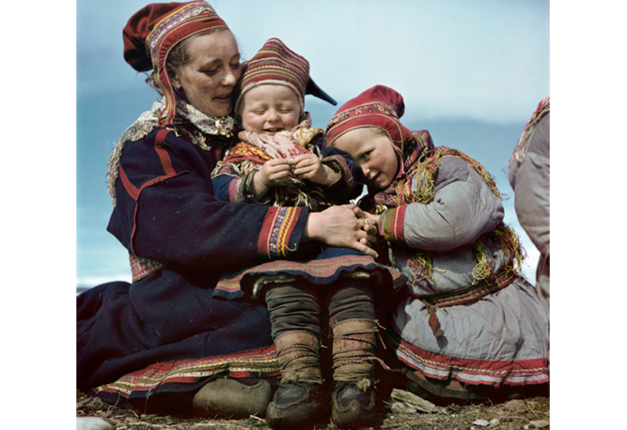 Robert Capa, [Lapp family, Norway], 1951. © Robert Capa/International Center of Photography/Magnum Photos. German cemetery, near El Ouina airfield, Tunisia, May 1943. British soldiers watching a wrestling match on a troop ship from England to North Africa, 1943. 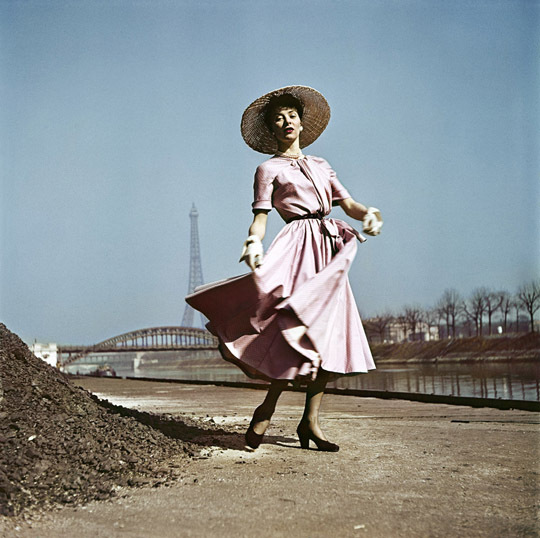 Model wearing Dior on the banks of the Seine, Paris, 1948. 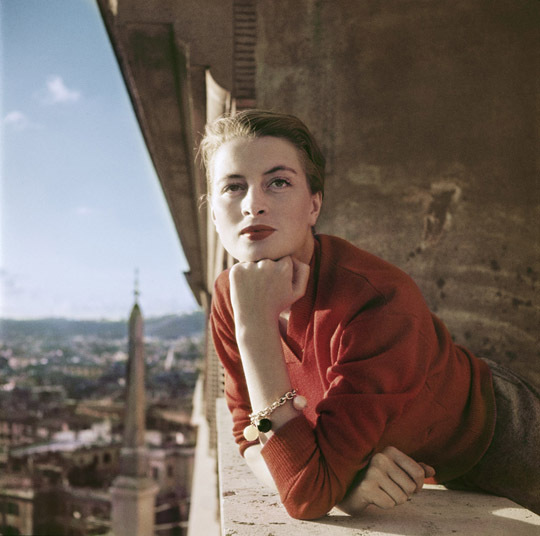 Capucine, French model and actress, on a balcony, Rome, Aug. 1951. Woman in a bikini, Deauville, France, Aug. 1951. The French Camel Corps, the Meharists, practicing maneuvers in the desert, Tunisia, 1943.